The Philmac Blue Handled Ball Valve is ideal for the control of water within a pipe system for use above or below ground. The Philmac ball valve offers 1600kPa pressure rating with the added benefits of a shouldered spindle and double o-rings. This valve still retains the key values of being easy to operate, compact and offering high flow operation. FAST AND EASY INSTALLATIONMULTI-DIRECTIONAL FLOW The blue handled valves have been designed to work in either direction to ensure easy installation and eliminate the need to look for identification marks. BSP INLET THREADS The Rural, Irrigation and Plumbing sectors use British Standard Pipe (BSP) threads as a standard. Philmac also uses these thread types across the valve range to ensure compatibility with other threaded fittings and make installation easy. EASY GRIP T-HANDLE The blue handle has been ergonomically designed to allow it to be gripped easily and avoid slippage. MULTI-POSITION INSTALLATION The blue handled valves can be installed in any orientation to assist with all types of installations. RELIABLE OPERATION Consistent high quality injection moulded plastic bodies and components plus Nitrile O-rings and a stainless steel screw means years of reliable operation. 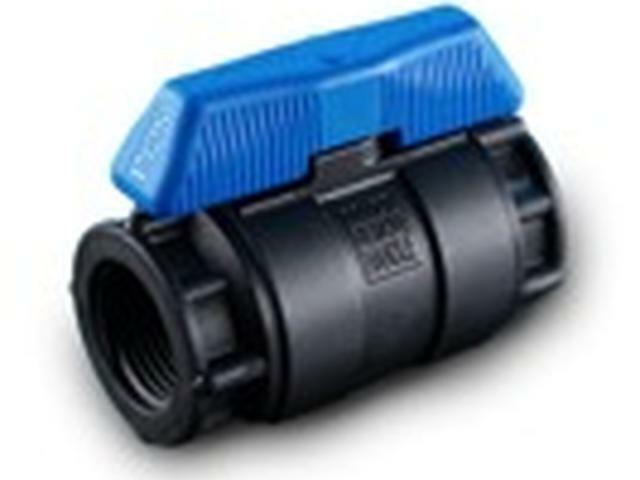 HIGH PERFORMANCEMANUFACTURED FROM ADVANCED THERMOPLASTIC MATERIALS Philmac blue handled ball valves are manufactured from lightweight high performance thermoplastic materials which have excellent impact, UV and corrosion resistance. The material is non-toxic and taint free. HIGH PRESSURE SHUTOFF Blue handled ball valves are rated to a pressure of 1600 kPa (232 psi) or 16 bar (static shutoff) at 20° Celsius to meet the requirements of high pressure systems. Philmac non-return valves are designed to permit fluid flow in one direction only. The valves function over a wide range of operational pressures. 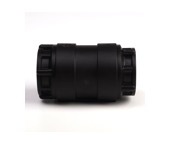 These valves are ideal for simple back-flow prevention in a water transfer system. Connecting to male BSP threads, they are easy to install and offer excellent durability, reliability and strength. Multi-position Installation: The valves have been designed to work in either a vertical (with water moving in an upwards direction) or horizontal position for flexible installation. BSP Inlet Threads: The Rural and Irrigation sectors use British Standard Pipe (BSP) threads as a standard. Philmac also uses these thread types across the valve range to ensure compatibility with other threaded fittings and make installation easy. Flow Identification: The body is clearly marked with an arrow to indicate the direction of flow of water. Reliable Operation: Consistent high quality injection moulded plastic bodies and components plus Nitrile O-rings and a stainless steel spring means years of reliable operation. Corrosion Resistant: with a plastic body and components, nitrile O-rings and a 316 stainless steel spring, all components are made from high quality corrosion resistant materials. Manufactured from advanced thermoplastic materials: Philmac non-return valves are manufactured from lightweight high performance thermoplastic materials, which have excellent impact, UV and corrosion resistance. The material is non-toxic and taint free. High pressure rating: Non-return valves are rated to a pressure of 1400 kPa (200 psi) (static shutoff) at 20 Celsius to meet the requirements of high pressure systems. Low pressure shutoff: Non-return valves are designed to seal off at 20 kPa of pressure making them well suited to gravity feed systems. Philmac Air Release Valves allow air to escape from water transfer pipelines to maximise water flow. Connecting to male BSP threads, they are easy to install and offer excellent durability, reliability and strength. 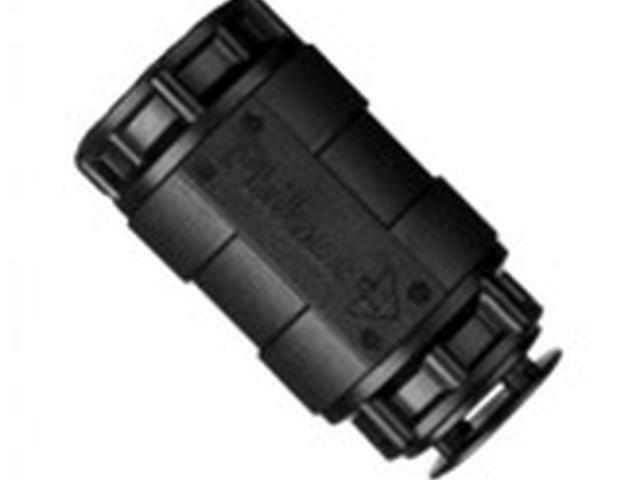 Philmac air release valve offers solutions to the agricultural and irrigation industry by providing an economic and reliable solution for removing air from a pipeline. These valves play a vital role in the performance of a pipe system as they ensure air is dispelled from the system at start up and allow full flow of water through the pipe. 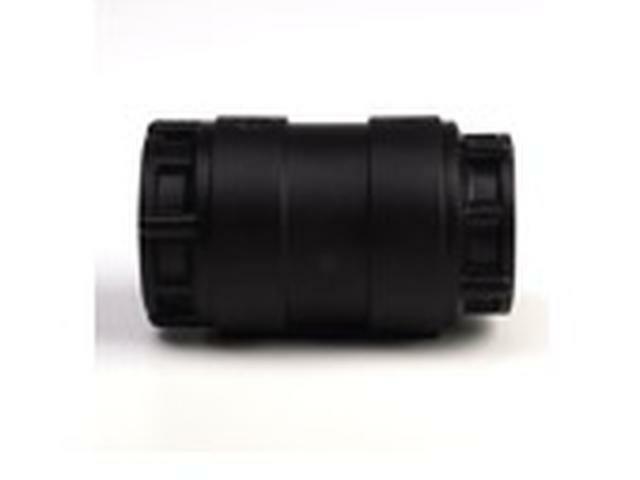 This prevents air gaps which restrict flow of water, and protect against the formation of a vacuum during drainage which can collapse the pipe. A simple and effective design, with longevity of service, Philmac’s air release valve is designed for harsh outdoor conditions. 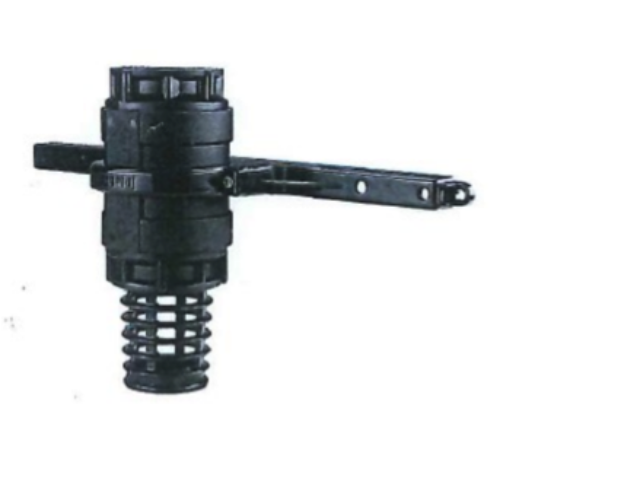 Single-position Installation: The valves have been designed to work in a vertical position to maximise the discharge of air. BSP Inlet Threads: The Rural, Irrigation and Plumbing sectors use British Standard Pipe (BSP) threads as a standard. Philmac also uses these thread types across the valve range to ensure compatibility with other threaded fittings and make installation easy. Flow Identification: The body is clearly marked with an arrow to indicate the directional flow of the air. 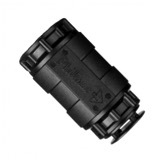 Outlet: The outlet is fitted with a protective cap which can be removed to access a 1“ BSP thread. This allows a pipe to be connected so that any water that escapes when purging air can be directed away from the valve.